Residents living in a graffiti-plagued village on Merseyside are being asked to consider changing its name to tackle vandals who alter signs in the village. Lunt, which dates back to Medieval times, has been repeatedly targeted by vandals who change the "L" to a "C". However, the proposal to change the name has split the village with some residents insisting the vandals should not be allowed to ruin their heritage. 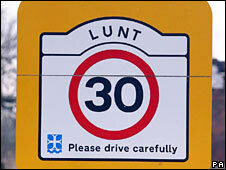 One suggestion is to change it to Launt which would be pronounced the same. However, despite the dismay that the vandalism causes, some villagers are defiant at the thought of giving in to the vandals. 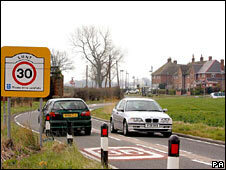 Parish councillor Steward Dobson, 84, said: "This village is very, very old and people don't want the name changed. The idea would be to change the village's name to "Launt"
"The vandalism has been done for years, it's not children who are doing it." David Roughley, whose family has farmed in Lunt since 1851, added: "At the end of the day we live in Lunt and we don't want to change because of a few yobs. "It is the vandals who should change, not the village." According to the local website, the area was first documented in 1251 in the Chartulary of Cockersand Abbey where it was referred to as "de Lund".